The last-known sighting of baby Leonie was in the NSW Hunter Valley town of Scone in December 2001, when she was 18 months old. Detective Inspector Tim Seymour, who's in charge of Strike Force Kanuna which is looking into the youngster's disappearance, says, "The worst-case scenario is that Leonie is deceased and the best case is that she's living happily with a loving family." Det Seymour says despite 10 months of "extensive inquiries" around the Hunter Valley and along the NSW Central and North coasts, her whereabouts remain a mystery. The five-year-old's mum has four other children, three of whom now live with their grandmother Helen Hutchinson. The youngest, a one-year-old girl, lives with her mother. 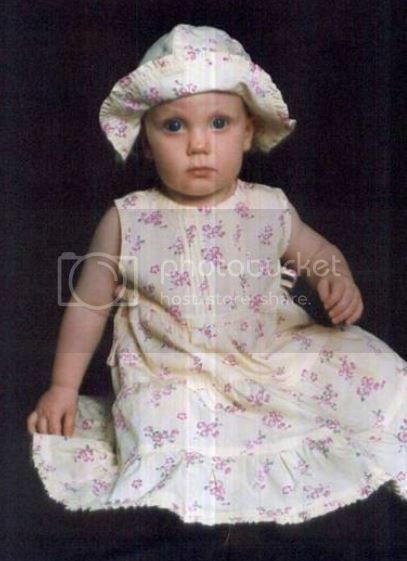 Helen says she only learnt of Leonie's existence in January 2001, by which time Leonie was 18 months old. "I've had custody of my daughter's three sons (aged 15, 13 and 11) for the past eight years, but no contact with my daughter," she explains. "This is a very concerning situation." Police discovered Leonie was missing in January this year while investigating an unrelated matter. "We've spoken to the family and friends of Kate Hutchinson as well as following up any leads, but we've hit a dead end so far," Detective Seymour explains. Police have also spoken to Leonie's biological father, who's separated from her mother, but he was unaware his daughter was missing and was stunned when told the news. Det Seymour says that from his inquiries he knows Leonie was a happy little girl "who loved fairies and teddy bears". The last confirmed sighting was when Kate brought Leonie to the Scone Medical Centre in October 2001 to be immunised, but locals say they saw Leonie and her mother in Scone several times in December of that year. "Our only concern is for her safety. If anyone has her or knows where she is, they shouldn't fear our investigation," say the police. If you know where Leonie is, call Hunter Valley police on (02) 6542 1399 or Crime Stoppers on 1800 333 000. POLICE are determined to establish whether missing Scone child Leonie Hutchinson is still alive, with Detective Inspector Tim Seymour appealing to Upper Hunter people for information regarding her disappearance. 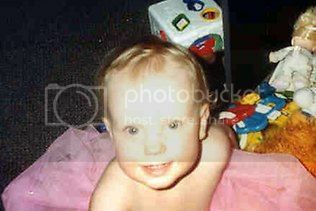 Leonie Astra Hutchinson was last seen with her mother Kate Hutchinson at Scone Medical Centre in late 2001 when she was 18 months old. She would have turned six last Wednesday. Police scoured a property near Scone last week but Det Insp Seymour, who is heading the investigation, would not elaborate on the search that involved 50 police and SES personnel and mounted police. "I've said all along our best case scenario is that she is alive and well and our worst case scenario is that she is deceased," Det Insp Seymour said. "I am reasonably confident we will resolve it one way or another. Somebody, somewhere, must know what has happened to this child. "All we are concerned with is the welfare of the child, if she is alive and well that be the end of our investigation," he added. "Any member of the community who has information to assist us in our inquiries should contact Muswellbrook Police or any of the police stations, and all information will be treated in confidence," Det Insp Seymour said. "The welfare of this child is paramount and that is all we are concerned about. We just want to establish whether this child is alive and if that is the case, then nobody has anything to fear," he said. Her mother Kate - also known as Rainbow - had spent time in Broken Hill, and on the central and north coasts, including in Byron Bay and Gorokan, but currently lives in the Upper Hunter district. She has been quoted as saying that Leonie is with a wealthy family who will take care of her. But there is no record of Leonie's existence since the last confirmed sighting of her in October 2001. Det Insp Seymour said an illness precluded Leonie's mother from assisting police with their inquiries. - Crime Stoppers 1800 333 000. Police in the Hunter Valley have begun a statewide search for a four-year-old girl who went missing from Scone more than two years ago. Police only became aware of her disappearance six weeks ago. Leonie Astra Hutchinson was 18 months old when last seen, Detective Inspector Tim Seymour of Muswellbrook police said. He said her disappearance was discovered when police were investigating an unrelated matter. Leonie had last been seen in Scone in December 2001. Her mother Kate, 31, had spent time in Broken Hill, and on the central and north coasts, including in Byron Bay and Gorokan. "Her mother is ill and it is possible the little girl is in the care of another couple and we would like that couple or anyone who knows the whereabouts of the child to contact police," Detective Inspector Seymour said. A HEAVILY pregnant woman whose child went missing in 2001 and has never been found, was picked up in Byron Bay last night after a massive police search. Kate Elizabeth Hutchinson, 36, who is mentally ill, went missing from the Richmond Clinic at Lismore on Tuesday morning. Ms Hutchinson is due to give birth tomorrow and police, holding grave concerns for the welfare of the woman and her unborn child, on Tuesday appealed to the Northern Rivers community for help in finding her. Ms Hutchinson used her ATM card in Byron Bay yesterday morning and police there joined the Richmond Local Area Command search. The Northern Star understands Ms Hutchinson has given birth to a number of children, but they have been removed from her custody by the Department of Community Services (DoCS). One of her children, Leonie Astra Hutchinson, was last seen in 2001 in Scone, NSW, when she was 18 months old. According to media reports since her disappearance, the toddler has not been sighted since she was taken by her mother to a Scone medical centre for an immunisation shot. Police reportedly did not learn of her disappearance until early in 2004 when they were investigating another matter. They have been hunting for evidence of what may have happened to her ever since, and Ms Hutchinson was reportedly unable to assist them. Leonie, who would now be nine, remains on the NSW Police Missing Persons Register. Police last night thanked the public for their help in finding Ms Hutchinson. “The missing person was located in the Byron Bay area by Byron Bay police at 5pm this afternoon,” Richmond LAC Inspector Greg Moore said in a statement. “There is no further action required regarding this matter. Insp Moore said Ms Hutchinson and her unborn child were believed to be well when she was found. THE mother of mentally-ill Lismore woman Kate Elizabeth Hutchinson has revealed a second child born to her daughter may also be missing, feared dead. Helen Hutchinson, 65, told a Sydney newspaper her daughter disappeared in 2006 when she was heavily pregnant, but Mrs Hutchinson did not know what happened to the child. Police are investigating the whereabouts of another child born to Ms Hutchinson. The girl, Leonie, was reported missing after police realised the girl was not living with her grandmother. Mrs Hutchinson is reported to have asked authorities to ensure her daughter does not fall pregnant again. The 36-year-old gave birth to her latest child at Richmond Clinic psychiatric ward in Lismore less than two weeks ago. The boy has since been removed from her care. Mrs Hutchinson has looked after her daughter's children since the first was born some 20 years ago. “Somebody has to do something to stop her from having any more babies,” she said. “It's as much for her sake as it is for the children's. Kate Hutchinson was found in Byron Bay after going missing in August, weeks before she was due to give birth. A CASE worker for a NSW toddler who disappeared says she was not concerned about the mother's interest in witchcraft or her "satanic poster". Community services made three visits to the girl's home in the months before she was last seen, an inquest into the disappearance of Leonie Hutchinson was told today. Leonie has not been seen since December 2001, but police did not realise she was missing until nearly three years later. The NSW Department of Community and Family Services was alerted in July 2001 by a report that Leonie, who lived with her mother Kate in Scone, in the Hunter Valley, and was nearing her second birthday, could be at risk of harm. They were satisfied by what they found on their visits and closed the case at the end of that year. It was only when community services staff were called to Ms Hutchinson's home on another matter in 2004 that they realised Leonie was no longer there. Michelle Hanlon, a friend of Ms Hutchinson, said in her statement to the coroner that she had "a bad feeling" about what had happened to Leonie, the hearing at Parramatta Local Court was told on Monday. Case worker Christine Anderson visited Ms Hutchinson's home on August 1, 2001, shortly after a risk of harm report was made. Asked by Warwick Hunt, counsel assisting the inquiry, if she had been concerned by Ms Hutchinson's interests in witchcraft and the fact she had a "satanic poster", Ms Anderson said she had not. "From what I observed of Kate's interaction with Leonie, and my observation of Leonie, Leonie's needs were being met," she said. Ms Anderson returned eight days later with mental health workers who interviewed Ms Hutchinson and went back again with her supervisor for a second opinion on August 15. The case was closed as they did not believe Leonie was at risk. Wendy Wilson, who was Ms Anderson's line manager, said when asked if it would have been "prudent" to arrange further home visits: "With hindsight, we could have kept it open for another two years." Ms Wilson became aware in October 2003 that Ms Hutchinson was being evasive about Leonie's whereabouts. It was not until the following January when she visited the Scone home that the department realised Leonie was not there. When asked about Leonie, her mother became "erratic and irrational", said Ms Wilson. Ms Hutchinson would only say, "Leonie's safe," she told the inquest. She has subsequently refused to reveal where her daughter is or who she is with. The inquest will resume tomorrow. THE mother of missing girl Leonie Hutchinson told a friend the world was ending and aliens were going to take her and her daughter away, an inquest has heard. Kate Hutchinson had previously spoken of a "wolfman" who appeared to her and was going to lead her to aliens, according to friend Jessie Ryan. Leonie has not been seen since December 2001, when she would have been two years-old, but authorities did not realise she was missing from her NSW Hunter Valley home until January 2004. Ms Ryan, who lived with Ms Hutchinson in 1998, said on Tuesday that her friend - who used cannabis at the time - would visit what she described as a "special place" at Gorokan. "She told me the wolfman used to come to her from the sky, out to her on the rock where she was at Gorokan," Ms Ryan told an inquest at Parramatta Coroners Court. "She also said the wolfman would one day come and take her to the aliens." When Ms Hutchinson told her she was pregnant with Leonie, she also told her she had "stage four cervical cancer" and she wanted her child to be adopted, possibly by Ms Ryan's mother, if she did not get better. Ms Ryan went to Scone after Leonie's birth and Ms Hutchinson told her "the world was going to end in the year 2000 and aliens were going to come and take her and Leonie away". Adoption was not discussed, but on the topic of cancer Ms Hutchinson said she was "in the clear". When Ms Ryan went back to Scone the next year, she was told by people who answered the door at Ms Hutchinson's unit that she had moved a few doors away and given up her daughter for adoption. At the new address she found blankets draped over the windows and no one answered the door. When Ms Ryan was alerted by police about Leonie's disappearance, she found they were using a photograph of the wrong girl in seeking information from the public. Instead of Leonie, they were using a photograph of one of Ms Ryan's daughters. Ms Ryan said she may have given the picture to Ms Hutchinson at some point. Another friend who used to live with Ms Hutchinson, Tammy Bourke, told the coroner Leonie's mother would talk of "aliens and lights" and became increasingly paranoid after smoking cannabis. She believed neighbours were listening to the pair speak and changed the lyrics of an Aerosmith song to sing "Katie's got a gun", saying she was going to shoot the neighbours. Ms Bourke told the inquest: "Half the time Kate spoke, she didn't make sense anyway." THE mother of a missing girl had told a friend she would bear a "chosen'' child who would be sacrificed, an inquest has heard. Her mother Kate Hutchinson has since refused to say what happened to her daughter. Michelle Hanlon, who was a friend of Ms Hutchinson, was asked in Parramatta Coroners Court today about a conversation she had with Ms Hutchinson 13 years ago. Ms Hanlon had told the court about a three-day LSD trip, after which Ms Hutchinson spoke of seeing a "wolfman''. Ragni Mathur, representing Ms Hutchinson, questioned Ms Hanlon's evidence that Ms Hutchison had mentioned "a chosen child, and that child be sacrificed''. "Yes, there was,'' Ms Hanlon told the court. Ms Hanlon, who told the inquest she was involved in witchcraft and tarot readings, was also questioned why she never made mention in her statement that Miss Hutchinson told her of a premonition she had of "a child's throat being slit''. Ms Hanlon said she was confident it was something "in my head''. "Well, I'm sorry, you weren't there when it happened, and ... you're standing there making me feel this small,'' she said. The court also heard that Ms Hutchison had told Ms Hanlon that "seven years later, there would be a black man who would (give) her a child''. "Well, that's who she ended up with,'' Ms Hanlon told the court. Ms Hanlon was also asked about a time when she saw a "pyramid'' structure in Ms Hutchinson's house with diadems representing earth, fire, water and air, wrapped in a mosquito net. Ms Hanlon told the court she believed Ms Hutchinson had been using it as a "power source''. Detectives investigating the disappearance of a Hunter Valley baby 13 years ago have renewed their appeal for your help. 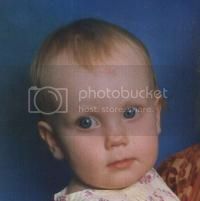 Leonie Hutchinson was one year old when she was last seen since in late 2000 at her mother’s home in Scone. Despite her disappearance being the subject of two coronial inquests, her whereabouts remains unknown. A third coronial inquest into Leonie’s disappearance begins Monday, December 9, 2013. Police from the Hunter Valley Local Area Command are continuing to investigate the circumstances surrounding Leonie’s disappearance and are calling on members of the public to help. Hunter Valley Local Area Command Crime Manager, Detective Inspector Trent King, said police were hopeful of finding Leonie. “Leonie has been missing for nearly 13 years and while we have some strong leads, and have spoken to people throughout NSW, Victoria and Queensland, we still don’t know exactly what happened to her or where she is,” Det Insp King said. “We are confident that there are a number of people in the community who have information about Leonie’s disappearance but have not yet spoken to us. 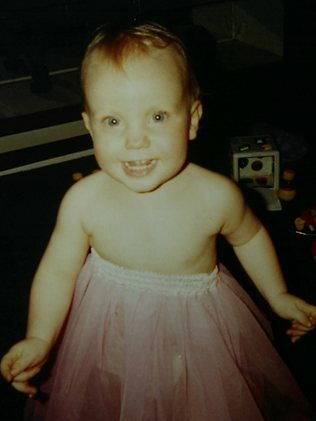 Police were not informed of Leonie’s disappearance until 2004. Upon being advised that the child was missing, detectives from the Hunter Valley Local Area Command formed Strike Force Kanuna to investigate the disappearance. All evidence gathered by police will be presented to the coronial inquest. The mother of missing NSW toddler Leonie Hutchinson confessed to friends she killed her daughter, and the girl's body may be secreted in a well, an inquest has heard. The coronial inquest into the disappearance of Leonie, last seen in the Scone area in NSW's Hunter region 13 years ago, has resumed at the Coroner's Court in Glebe on Monday. It is the third time the inquest into the toddler has sat and, on Monday, it was told the focus had shifted from investigating claims her mother, Kate Hutchinson, had given her daughter away, to a "more concerning picture". Police only became aware Leonie, aged 18 months, was missing four years after she disappeared, while they were investigating an unrelated matter. They have narrowed down the last time the baby was seen to August 2000 after conducting fresh interviews with people, including shopkeepers and residents in Scone, who knew Leonie and her mother. Both were living in the upper Hunter town at the time and were well known in the small community. Ms Hutchinson was allegedly involved in witchcraft at the time Leonie disappeared, the inquest has been told. Detective Inspector Elizabeth Simos told the inquest police had spoken to an associate of Ms Hutchinson. He said Ms Hutchinson had told him she had killed her daughter. Another associate told police he saw "Rainbow", as Ms Hutchinson was also known, punching her stomach during pregnancy. Detective Inspector Simos said the Scone property where Ms Hutchinson was living at the time of the disappearance had a 3.5-metre deep well on its grounds. She said she "believed" that is where the toddler could have been "secreted" if she was dead but said police did not have the resources to dig it up. Counsel assisting the inquiry, Warwick Hunt said the police investigation had recently been assisted by a "new attitude of co-operation" in the Scone and Musswellbrook area about the case. AN inquest into the disappearance of an 18-month-old girl has heard her mother may have dabbled in satanic rituals. The coronial inquest heard this morning that toddler Leonie Hutchinson was last seen in mid-August 2001 with her mother, Kate, in the Hunter Valley. Ms Hutchinson later offered various accounts to friends, family and authorities of what had happened to her daughter and where she was. Counsel assisting the coroner Warwick Hunt said all inquiries following up Ms Hutchinson's claims had led to successive dead-ends. "The reality is, in a factual sense, all that information leads to a big cul de sac," he said. Mr Hunt described Ms Hutchinson as a recluse who had schizophrenia and other mental health issues. He said she was known to have been involved in "satanic and ritual matters". Coroner Hugh Dillon said that while the aim of the inquest was to determine whether Leonie was dead and if so how she died, he was not confident of making a finding based on current evidence. A HANDWRITTEN note found in 2004 by police investigating the disappearance of Leonie Hutchinson gave police a grave clue about the child's possible whereabouts. Officers searched the Hunter Valley home of Leonie's mother Kate Hutchinson after the toddler vanished. Senior Constable Michael Morrall, who headed the original inquiry, told an inquest yesterday that he feared the toddler was dead after finding the note, which read: "Have good memories my angel Leonie. I love you." "It indicated Leonie may be deceased," Constable Morrall said. What happened to baby Leonie? "She is referring to memories - 'my angel' - as if she may be in heaven." Ms Hutchinson has always maintained that Leonie, who was two when she went missing in 2001, is alive and well, living with friends at an undisclosed location in NSW or Queensland. She has refused to say who the mystery family was and after years of investigation police are yet to find a any evidence to back up her claims. In a December 2004 television interview, played in court yesterday, she said her daughter was originally only going to visit the friends for a fortnight but ended up staying for good. "She's safer where she is. They are wealthy and they can afford to protect her," she said. The inquest heard yesterday how Ms Hutchinson changed from a caring mother with a little girl who was healthy and thriving to a deeply disturbed, drug-affected individual who would stare blankly into space and clam up when her daughter was mentioned. Mental health workers who assessed Ms Hutchinson shortly before Leonie disappeared found nothing of concern. She had previously been diagnosed with schizophrenia and other mental health issues but there was no evidence of acute mental illness. Mental health nurse Bronwyn Hamilton described Ms Hutchinson as "engaging" with a "lovely little girl". But when she visited again in 2004 things were different. She said Ms Hutchinson was drug-affected and rambling. Tests confirmed cannabis and methamphetamines in her blood. Former friends of Ms Hutchinson are expected to give evidence today relating to suggestions she was involved in witchcraft and satanic rituals.